The Econo Lodge hotel is conveniently located off Interstate 59, only one mile from the Alabama Band Fan Club. This Fort Payne hotel is minutes from Desota State Park and Little River Canyon. Visitors will also enjoy local attractions like Sequoyah Caverns and Lake Weiss. There are a wide variety of restaurants in the surrounding area, many are within walking distance of the hotel. The Waffle House is located on the property and Cracker Barrel Old Country Store and Restaurant is across the street. 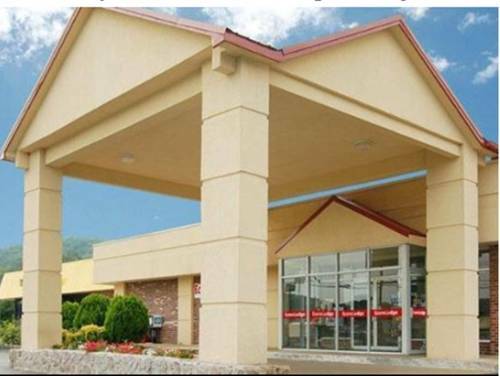 This Fort Payne hotel offers business travelers conveniences like computer hook-ups, spacious work desks, access to copy and fax services and competitive corporate rates. Pet accommodations: 10.00 USD per night, per pet. Pets allowed in designated room types only. ~25 miles from Fort Payne. Office chair built in 1981 from 10 tons of steel. Surpassed by later chair monoliths, but its 33 foot height is still a formidable bulwark against other giant office chairs. ~54 miles from Fort Payne. ~53 miles from Fort Payne. ~52 miles from Fort Payne.